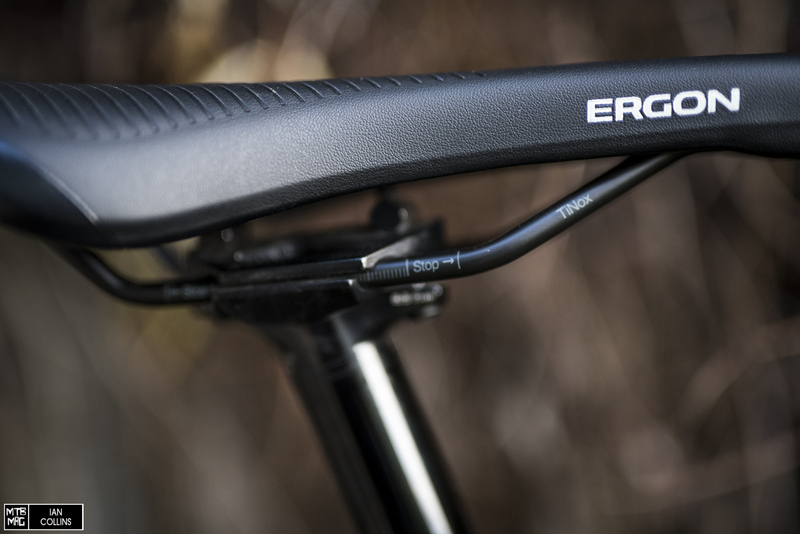 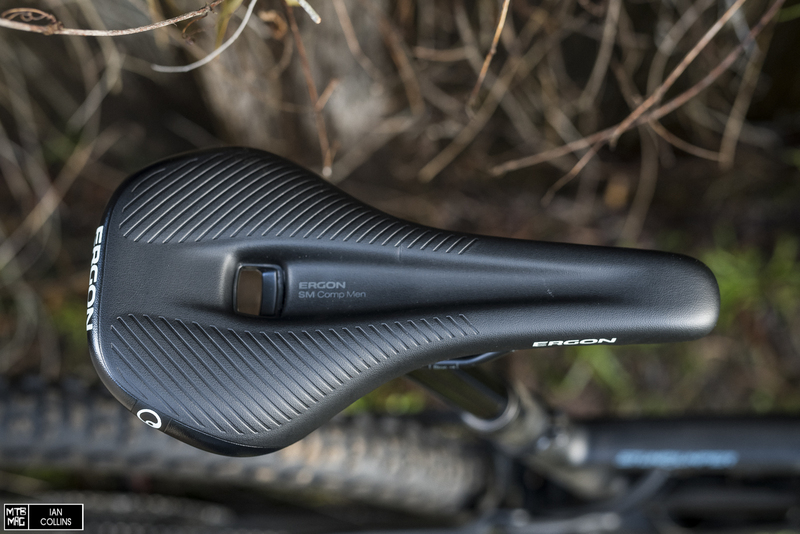 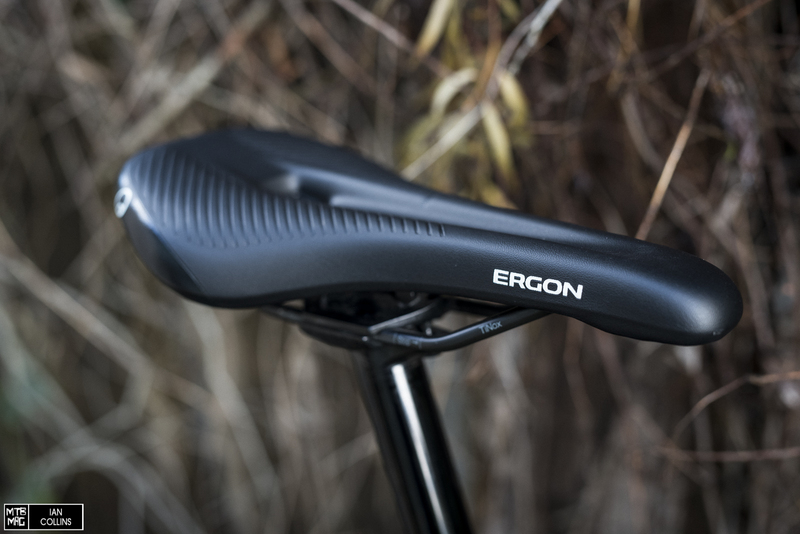 Unlike many MTB saddles, we’ve noticed that Ergon tends to use a bit more padding up at the nose. 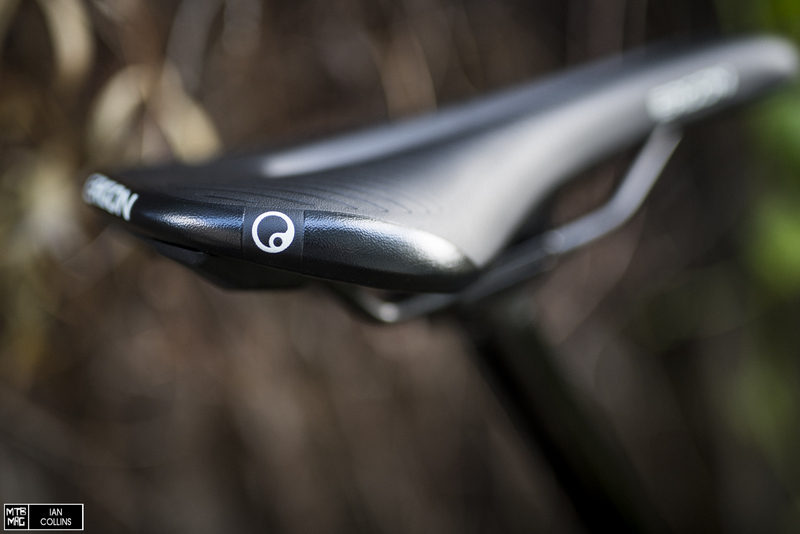 The SM has a broad central relief channel and fairly wide width, for a S/M size. 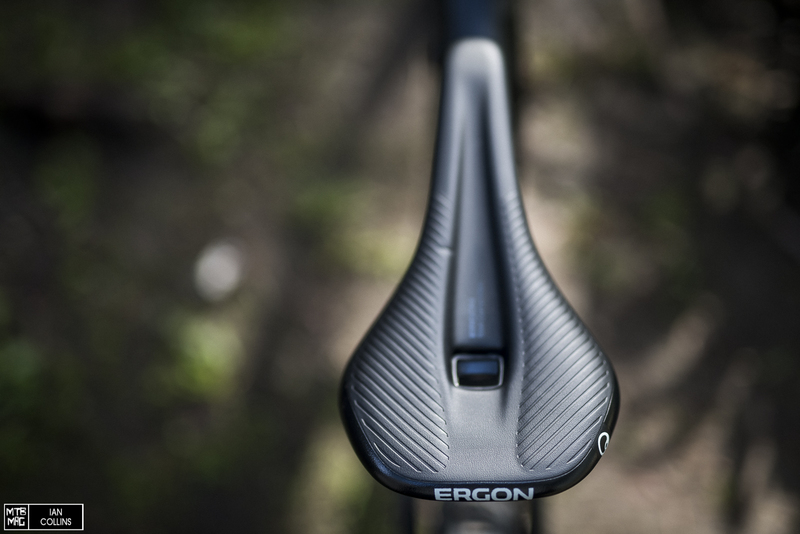 Below the cross hatched areas are OrthoCell inlays.